I don't get it. Angry Birds has been absolutely everywhere since 2009, with several people I know and love claiming addiction to the game. My kids, for example, love Angry Birds. At least they did. I tried Angry Birds, because it seemed to be the most downloaded game everywhere I turned. And it was everywhere: iPad, iPhone, Android, WebOS, Chrome, etc. Of course I tried it, and I'm betting you did as well. You probably loved it, and played it over and over and over again. I played it twice and bailed due to boredom. I haven't been tempted to go back. I just didn't like it. But it's everywhere. During Halloween, I saw kids dressed as Angry Birds and I saw pumpkins carved as Angry Birds. I'll bet they show up at the Santa Claus Parade in a couple of weeks. I downloaded it to my iphone for a friends daughter to play and yes i played it and was adddicted for a day or two but after a while it's not that much fun. I found a free flash version on the pc, played it for a bit for one day, and never bothered with it again. As a person who spends most of his day sitting on the toilet, I can safely say that Angry Birds helped me kill time through no fewer than 14 shits. And, in my opinion, bathroom time occupied needs to be the basis by which we judge all advances of human technological development. Maybe there are people out there who don't live their lives through the paradigm of this philosophy. I don't know. They are certainly having boring shits, left alone with their thoughts and sad reminders of last night's tacos. Angry Birds may not be the best game, but, along with Cut the Rope, it covered most of my BMs from January 2011. And God bless it for that. I left your post alone about the 'new' streetcars (it's been a year or two since the story and pictures where in the news) but this is the second post where you are taking us back in time. What gives? I fully acknowledged that the Angry Birds entry was 18 months late. The streetcar one is only going to appear late if you're a streetcar aficionado like yourself. 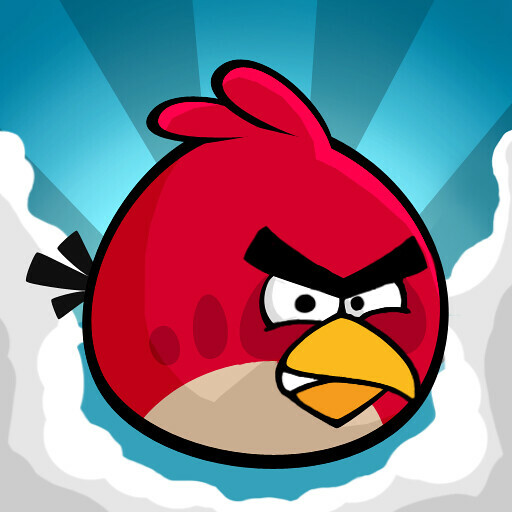 I have to say I love angry birds. Many days I just walk up to my local Starbucks, order a drink, sit on the couch and play angry birds...that's the truth ruth. Angry Birds falls into the same category as the virtual pets from the 90's - it became a fad for no apparent reason and will dissapear from pop culture just as quickly (I hope...I hate that f'ing game). You want a really fun game, dowload Plants vs. Zombies...now that's an addictive game!!! @Toronto Mike - Your brother was right. What you and my brother don't know is that I'm about to revolution the blogging industry. This is merely the calm before the storm. You've set the bar high. Do you know we won the war? You're going to revolutionize the blogging industry? I still haven't tried it.